Two days of sun, two days of rain, and a great time was had by all. 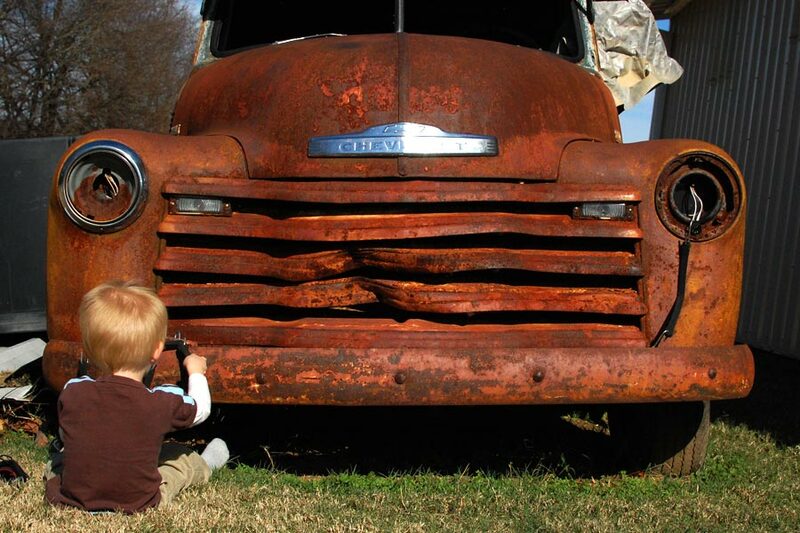 Someday maybe Aaden will be driving that truck. The days of Aaden driving will be here before we know it!!!! Love you, Dad! You’re the best Dad/host/swing pusher ever. stopping in to say hi from the business card class! I am such a sucker for anything vintage. So awesome! Thanks for the comment on the blog. I can’t wait to meet you face to face in January. Fun stuff! Thanks Krista & Jess! I’m excited to put faces to names in January as well.